Mistake #1: Picking the cheapest deal– Bargain prices can be very enticing, but don’t allow them to overrule your good judgment. A dirt-cheap property can come with hidden problems that keep your rental from being profitable. Investing in a better quality home in a more desirable area will provide better cash flow, higher returns and shorter vacancies. So do your research and weigh all aspects of the property you are looking to purchase. Don’t forget to account for things like school systems and crime rates. Mistake #2: Overlooking problems during the initial inspection– Judging a property based on a brief walk-through is never a good idea. Investing in a thorough inspection will allow you to calculate the true cost of the property and anticipate future problems and repairs. Understand city code regulations as well, since cities may have specific standards for the property (eg: stairs must be a certain height). Most cities require rental registration and certification anyways, so knowing what the city will require of you is a great way to help numerate overall expenses. Mistake #3: Underestimating repair costs-Noting and calculating just the repairs that are required for rental will leave you scratching your head when bills begin to roll in. Maintaining a rental means predicting issues before they occur and keeping up the property on a regular basis. Wear and tear inevitably will take its toll on things like carpet, paint and bathtubs, so make sure you set aside money for such foreseen expenses. Also, think about unforeseen expenses (like a resident opossum that needs to be removed) as well. 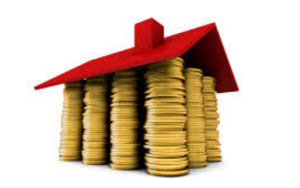 A general rule is to set aside 6 months rental income if possible. Mistake #4: Failing to anticipate tenant issues– Assuming tenants will not come with additional costs is also a no-no. Not all tenants will pay rent on time or even treat a rental like their own home, and Non-paying tenants may also require you to invest in legal help in order to obtain any unpaid rent. A good way to settle trouble with problematic tenants is to seek out and invest in a property management company with the resources to handle these situations. Mistake #5: Forgetting time lost = money lost-Don’t forget that a sitting property is not making money, but losing money that would potentially come from collected rent. Plan out and follow-up with all necessary repairs required to rent the property-sticking to a schedule will help move along the rental process. But don’t let your desire for an occupied rental property trump the importance of finding quality tenants. Also, be willing to negotiate a lower rent if the tenants are right. It may be difficult to compromise a little on rent, but remember that a few dollars less per month is better than a vacant property without any cash flow.